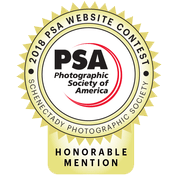 Founded in 1931, Schenectady Photographic Society offers programs and activities for amateur and professional photographers. Members from throughout the Capital Region of New York State share the theory, application and fun of photography at Society meetings. Wednesday night meetings offer an assortment of programs, new ideas and techniques and refreshment breaks for social exchange. Guest speakers share their work and techniques and offer insight into the creative image making process. Occasional field trips, photo shoots and workshops offer hands-on instruction and image making opportunities. Four program areas—print, projected image, photo essay, and mentoring —help members expand their photographic vision and creativity through professionally judged competitions, peer critiques, round table discussions and instruction. Normally print competitions occur on the first Wednesday of the month. Projected image competitions are the second Wednesday. And the third Wednesday is devoted to invited speaker programs. Other topics round out our schedule throughout the season.